Le mariage entre corruption et fondamentalisme religieux. Tunisie, 2013, Fiction, 2h00, Long métrage, Comédie. avec Ahmed Hafiane, Foued Litayem, Tawfik El Ayeb, Sawssen Maalej, Fatma Ben Saidane, Afef Ben Mahmoud, Kawther Belhajj, Chedli Arfaoui, Mohamed Ali Dammak et Mohamed Grayaâ. 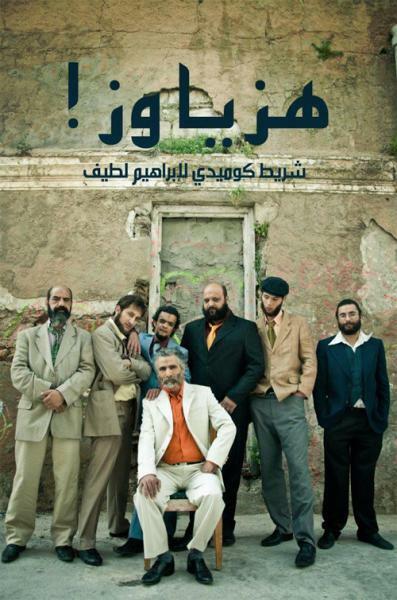 starring Ahmed Hafiane, Foued Litayem, Tawfik El Ayeb, Sawssen Maalej, Fatma Ben Saidane, Afef Ben Mahmoud, Kawther Belhajj, Chedli Arfaoui, Mohamed Ali Dammak and Mohamed Grayaâ.